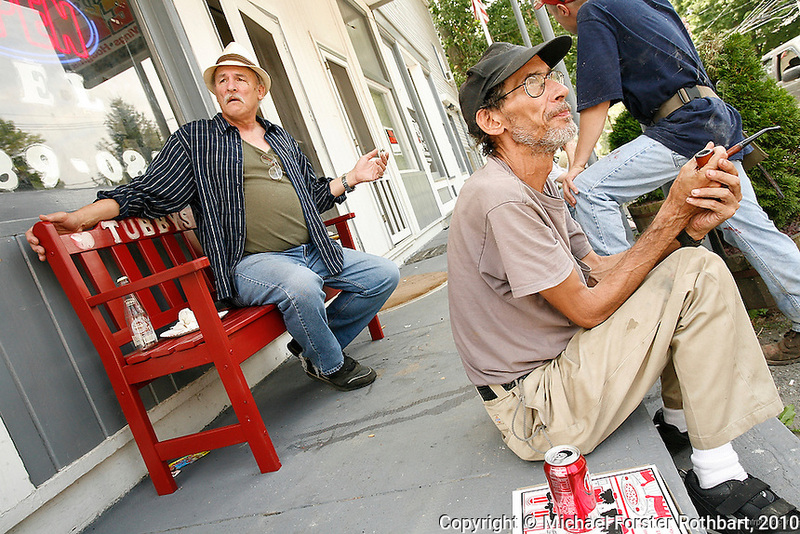 Nick DiGrotti and other local residents hang out on the front porch of Tubby's Deli, on Main Street in Hop Bottom, PA. The quiet borough (population 333) and adjoining townships (combined pop. 2000) have become much busier since 2008 due to the advent of natural gas drilling in the region. Date: 8/2010 File#: Canon 5D digital camera frame 68874.